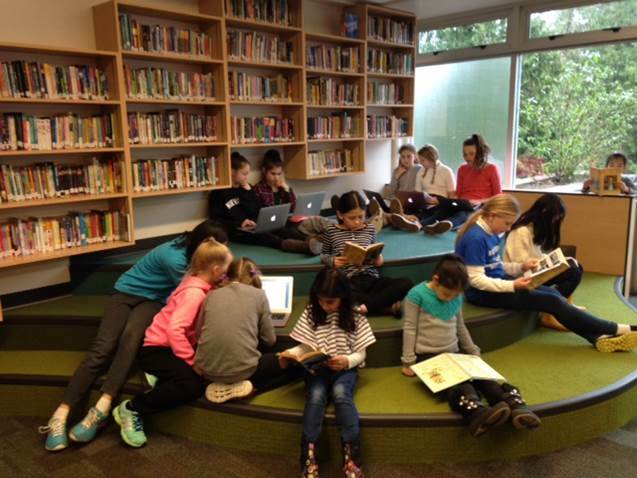 I walk into almost all of our schools in West Vancouver and very often the first thing people want to show me or talk to me about is the changes happening around the library. 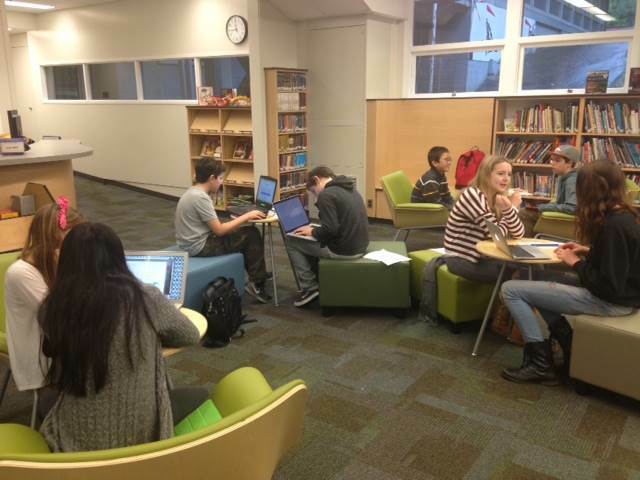 Or more specifically, schools are taking great pride in their learning commons spaces that are developing. While the physical spaces are exciting, the changes to our mindsets are far more powerful. 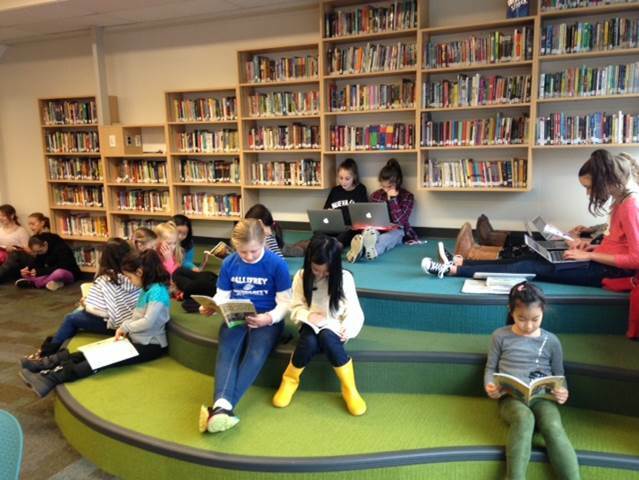 We are not destined for new schools in West Vancouver anytime soon but the rethink of the library has been both a symbolic and concrete shift in how we think about space and how we think about learning. The school library – a centre piece in schools – is now the modern hub for learning. Our libraries should transition to places to do stuff, not simply places to get stuff. The library will become a laboratory in which community members tinker, build, learn, and communicate. We need to stop being the grocery store or candy store and become the kitchen. We should emphasize hospitality, comfort, convenience and create work environments that invite exploration and creativity both virtually and physically. The library as a kitchen – I love it. And just what does this look like? Our work in West Vancouver, both with spaces and mindsets is not happening in isolation. We have been influenced by the work at universities, like this work at the University of British Columbia, the work at other schools in BC, like this work at John Oliver Secondary in Vancouver and the work at public libraries, including the efforts of our own local library – the West Vancouver Memorial Library. For my thinking, a particularly useful document is Facing the Future – A Vision Document for British Columbia’s Public Libraries. It’s author, Ken Roberts, the former Chief Librarian of the Hamilton Public Library, argues that “there is a growing realization that physical libraries are becoming even more important community spaces, places where people gather, share and learn from each other.” In short, the shift that public libraries are facing is the same ones that schools are facing and we have a lot to learn from and with each other. The BC Teacher Librarians’ Association, an amazingly thoughtful and forward-looking organization have also produced a document to help schools in the midst of the transition. The photos below give a sense of some of the uses of the new space at West Bay, and what we are seeing across our district as we make these shifts. Individual and group work. Technology is present but not the focus. 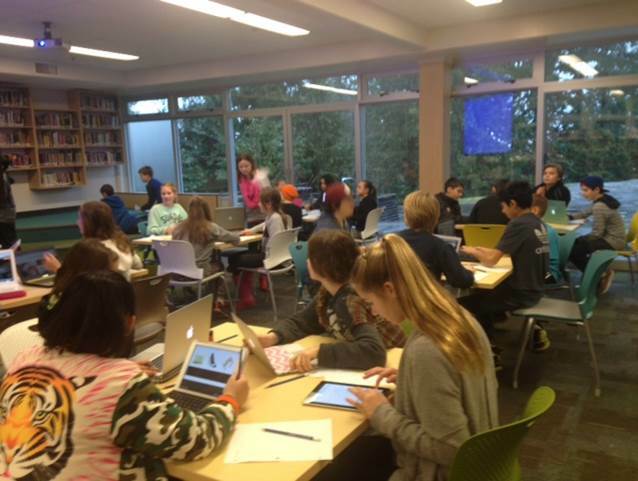 For more on the specifics of this particular transformation, Principal Judy Duncan has blogged about Transforming Learning Spaces to Meet Today’s Learners. 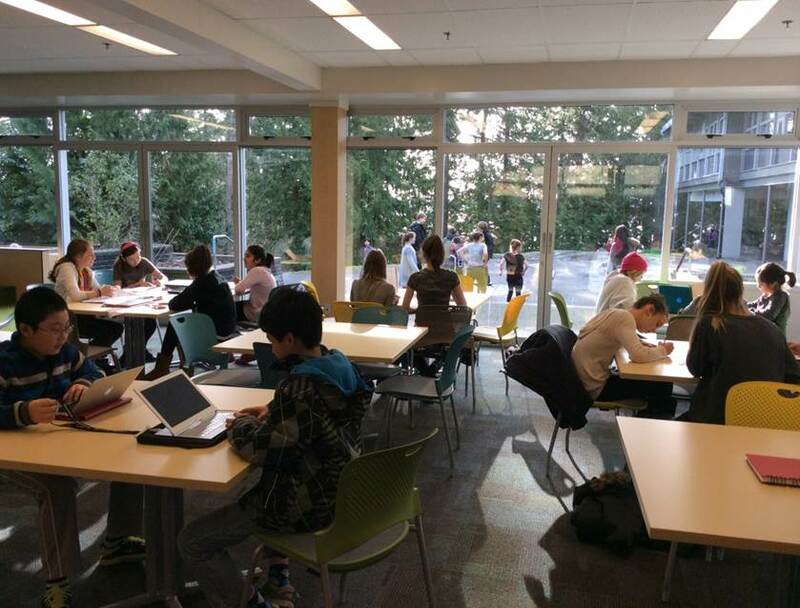 At the recently held Ontario Library Conference, I made the argument that we can get hung-up on the money when it comes to learning commons spaces. 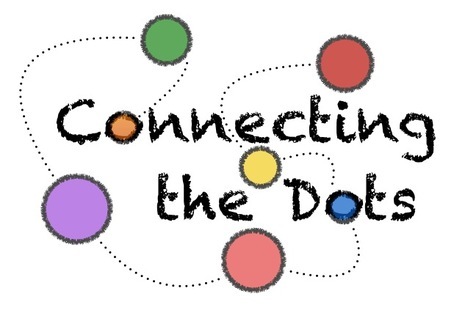 But it is first about mindsets – we need to embrace new ways of learning and find ways for our space to reflect these changes and be the gathering places for our all our learners. The thinking around the learning commons is symbolizing the shifts we are seeing with learning throughout our schools. So, having outlined some reasons why school sports may endure in my last post, there are also some realities that lead one to see that there are a number of factors working against school sports right now. The discussion around concussions and brain injuries seems to be growing all the time. And quickly, the conversations often move to sports that have or are perceived to have high levels of head injuries. Two of these sports are two of the most popular in high school – football and rugby. And to be very fair, both sports are trying to get out in front of the issue and make their games safer. Examples include the Safe Contact Program in Canada that deals with heads-up tackling. The issue of safety is not going away, and there are definitely voices that question whether schools should be active in sports that can be seen to be dangerous. We have continued to see a decline in teacher coaches in schools. Unlike, our American counterparts, high school coaching is almost exclusively a volunteer experience (there are some Independent Schools that offer a stipend). And over time, there has been a shift from school coaches to community coaches. I have seem some local data that shows the majority of coaches in almost all schools are non-teacher coaches. There is a commonly told story that teacher anger at government and new teachers without the same values as those of previous generations are the culprits. The story seems far more complicated and the real stories don’t make up these myths. This issue seems part of larger shifts in society that see teachers putting on their parenting hats quickly after school and leaving to coach their own children who are now playing more sports and younger ages than ever before. Teachers are also far more likely to be working as tutors or otherwise busy after school. Also on the topic of coaching, we have moved from volunteers to professional coaches throughout youth sports. Soccer and hockey clubs no longer rely just on willing moms and dads as coaches but have technical directors to lead their clubs. While some coaches are trained and certified in schools the vast majority are willing volunteers looking to connect with kids and support them knowing the power of sports to help connect young people to school and positive peer groups. Somehow these types of coaches are not enough anymore as expertise is now becoming expected in both the community and in schools. One of the advantages of school sports over community sports has been cost. School sports have been far cheaper alternatives than those in the community. This has been changing. Now school sports are reflective of the total cost of the offerings, and often can be several hundred dollars for a season to cover referee, tournament and other charges. While there are still some very inexpensive sports to run in schools, this has been changing. There are also not the same sources of revenue to support school sports – traditionally some gym rental revenue, or vending machine revenue or monies from other sources could help support school sports – as budgets have got tighter these sources have disappeared. Now, schools, like the community, are having to find ways to ensure all young people have access to sports. And the cost issue does not seem to be going away. Did you know there are 17 school sports in British Columbia? I am sure you can name the first few quite easily – basketball, volleyball, football. But did you know about curling, tennis and ski and snowboarding? There are some questions of whether there are too many school sports. Again not a simple issue. I have coached some senior boys and girls soccer. Now soccer is done very well in the community but there was something great about having students organize by schools and play using “school values” which are often different from the values promoted in the community. Like UBC saw when they looked at reducing their university Varsity sports, any move to reduce the number of sports would be met with questions of “why us”? It does seem unwieldy to try to offer so many sports particularly given the other challenges. In referencing a need to look at our model in the past post, I did begin to make the argument that we are moving to a much more participatory culture with a focus of having all young people engaged and not just the elite athletes. There is no shortage of news stories around the concerns over youth inactivity and governments of all levels around the world are working on strategies to have young people be more active. And while “sports” are a great way and we need to be exposing more kids at younger ages to the range of options, “competitive sports” in schools are often about the few participating not the many. While it is great to win provincial championships, there is definitely something to be said for having all students out running and playing. 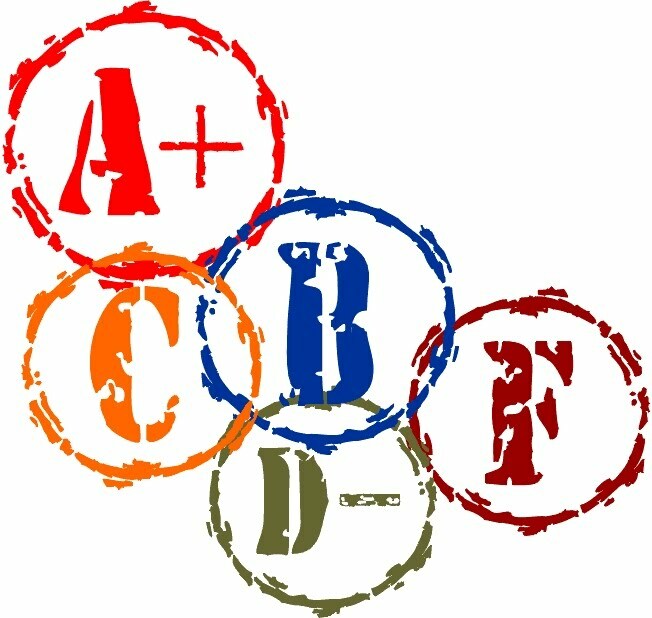 It used to work out perfectly – there are three natural terms to a school year and three sports seasons. Of course the era of a sport being done in a single season is over. In the old version, come November the volleyballs would go away and the basketballs would come out. Then come spring break, the basketballs went away and out came the track spikes. Now all seasons spill into one another. It is hard for coaches to coach multiple sports and the community quickly picks up the parts that the school is not doing as almost all sports at high school are year-round. Traditionally schooling has been very localized. The sense of global competition was not ever-present as it is today. As the academic competition increases, school sports are often seen as an add-on for teachers and students. Teaching has never been more difficult and the expectations around the profession are at an all-time high. Do parents want their math teachers coaching volleyball for 3 hours a night or prepping their lessons? Of course the answer is probably both. But this is a huge challenge as teachers invest more time in their lessons to support students and students invest more times in their studies to be competitive in the global learning race, sports can be seen as a nice extra but not part of the core for school. Our current set of rules are all about schools, yet increasingly our system is about students. The system of school eligibility is about creating a fair playing field for all schools. There are a number of eligibility policies in place to keep this. And this has largely worked. We have an ongoing trend of students taking courses from multiple locations, often a blend of face-to-face and online courses and it seems likely that students will increasingly be defined less by being a member of one school. So, as a student takes a couple of courses at one school, a few at another and still other with a third institution online – how do we deal with this in a school sports eligibility sense? School sports are built around the “school” as the centre point but personalizing learning is about the “student” at the centre. And while I was a vocal leader of creating a fair playing field for schools I see the world shifting. Try this out. Find a really good high school volleyball or basketball player and ask them – who do you play for? In these two sports that have been primarily school sports throughout time, most kids will not answer with their school but their club. Students now primarily identify with their club not their school. This has happened fast – I see it with my own elementary aged children. Yes, kids play sports for the school but this is not seen as their primary identification. While yes, in some sports in some communities the high school is the primary or only game in town – there are no sports left where the majority of training and growth happens in schools. 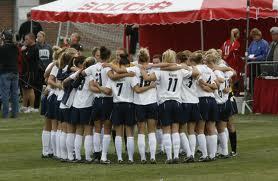 Student athletes compete for their school but they play for their clubs. Parents no longer see school sports as the pathway to university athletics. One of the great appeals of school sports to families has been that they open doors to a university education. Students are now regularly seen through club programs and students could receive full scholarships in a “school sport” without ever playing that sport in high school. Colleges and universities are also looking to bypass school programs creating their own club structures that feed their university programs rather than relying on high schools to develop their future players. And of all of the challenges, I think the biggest one might be that potentially the community does a better job than schools of providing competitive sports. Public and private providers in the community may be better at offering competitive sports than schools. I wonder, if schools did not currently offer competitive athletics would there be a push to start them? I think the answer is no. The number of community, not-for-profit and for-profit groups offering competitive athletics is growing exponentially. And while some of the offerings make me cringe, there are many fabulous opportunities for young people in the community that did not exist even a decade ago. And while not perfect, groups like KidSport are helping make community sports accessible to all families. I don’t think there is any one of the challenges in on the list that is insurmountable. It is more about the cumulative effect of them all. And to be clear, I am definitely not convinced that the loss of school sports would not be without huge repercussions for schools from overall student engagement, to morale to achievement levels – it might be a future reality though. And if sports remained in independent schools and not public schools I think we would see a mass exodus from our public institutions. While we are envisioning teaching, learning and schooling of the future we better add athletics to the conversation. If we don’t, there will be more voices like Amanda Ripley, making the Case Against High-School Sports. For me, hearing stories about finding our way back to the 1970’s when schools dismissed and Empire Stadium was full with students for track meets or the glory days of basketball championships at the Agrodome are great stories but not instructive. We need to get to figuring out the role of schools in competitive sports as we go forward. And while I am convinced we could do nothing and school sports would continue for a while, looking 20 years out we need to think of what new model will work.